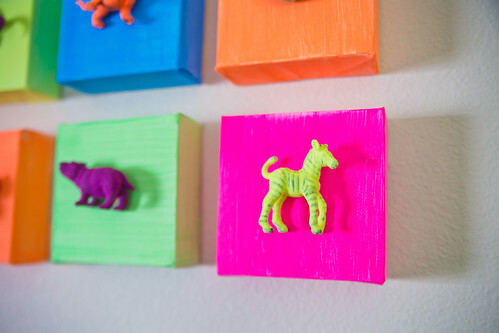 This fun Neon Animals DIY Playroom Artwork will brighten up any play space — and you can make it yourself with just a few supplies! 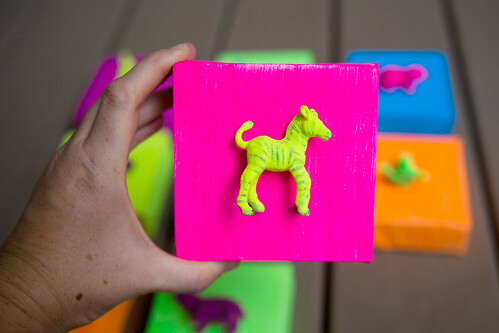 For this project, I knew that I wanted a simple way to affix the neon painted toys to the canvas — no glue required. Glue gets messy and can be a pain to use. 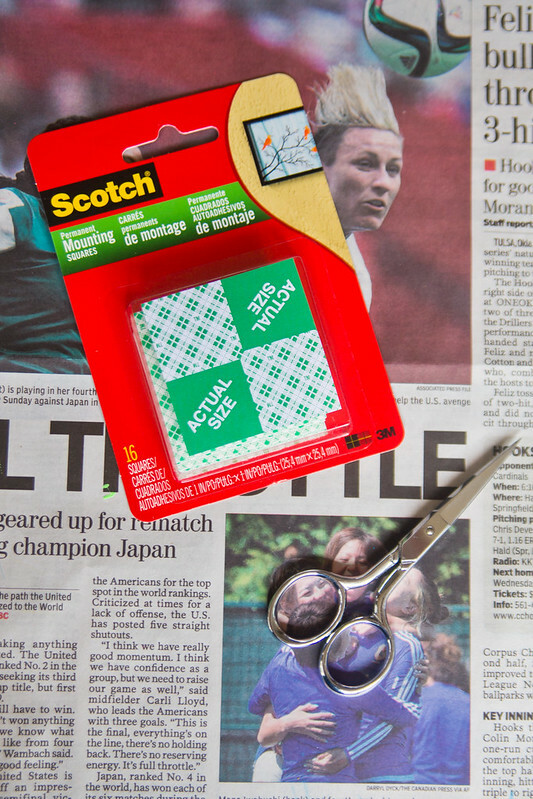 So I turned to Scotch® Brand Permanent Mounting Squares. These simple squares can be cut down to fit any shape and permanently adhere your materials together. I found the Scotch® Brand Permanent Mounting Squares on the crafting aisle at my local Walmart. 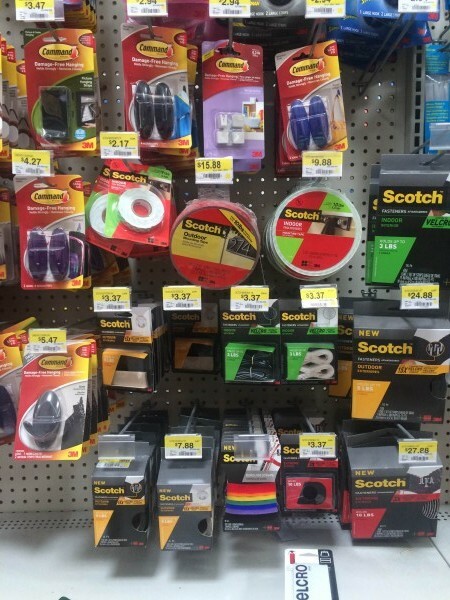 Did you know that now Scotch® Brand and Command™ products are available in the crafting aisle at Walmart? No more searching all over the store for these items! I also picked up some Command™ hanging strips for mounting my finished project to the wall. It was so convenient to find all of these products right there together. 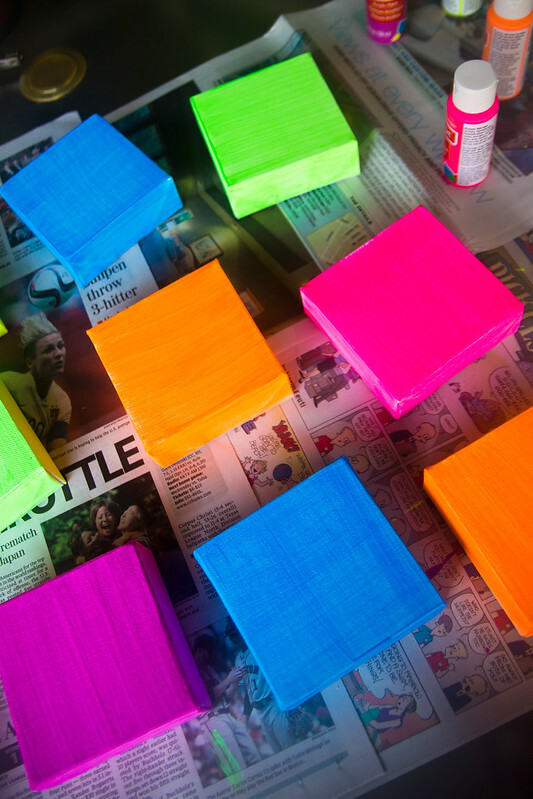 Start by painting your canvases in different neon colors. 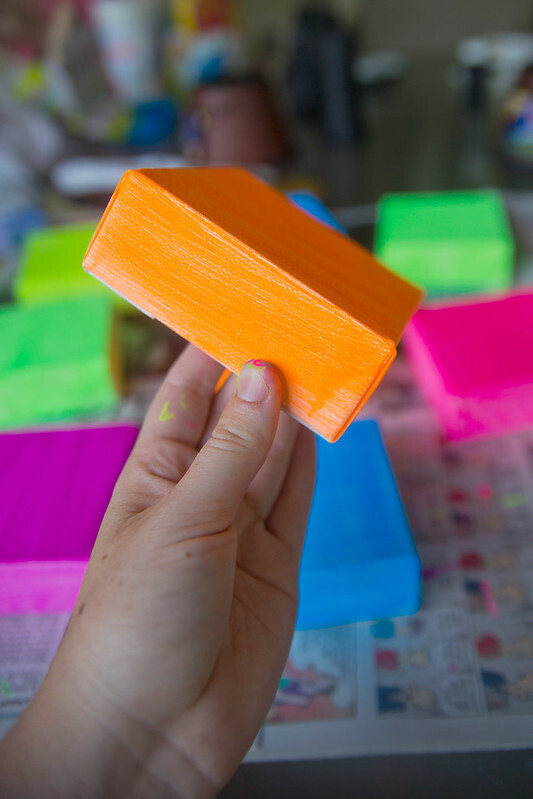 Allow to dry, then add a second coat of paint to make sure that they are covered evenly. 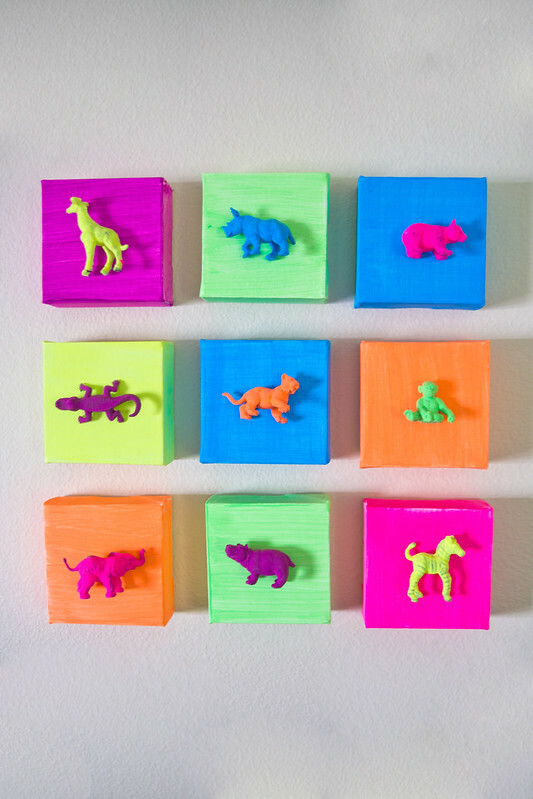 Paint the small animal toys in a variety of neon colors as well. 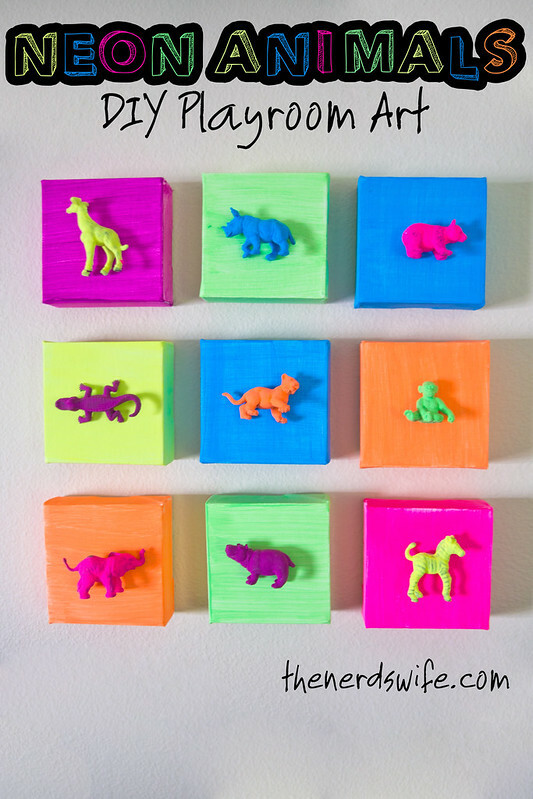 I had to add a second coat of paint to many of my animals to make them look good. I also didn’t bother painting the back side of the toys — this will be stuck to the canvas, so you won’t see it. 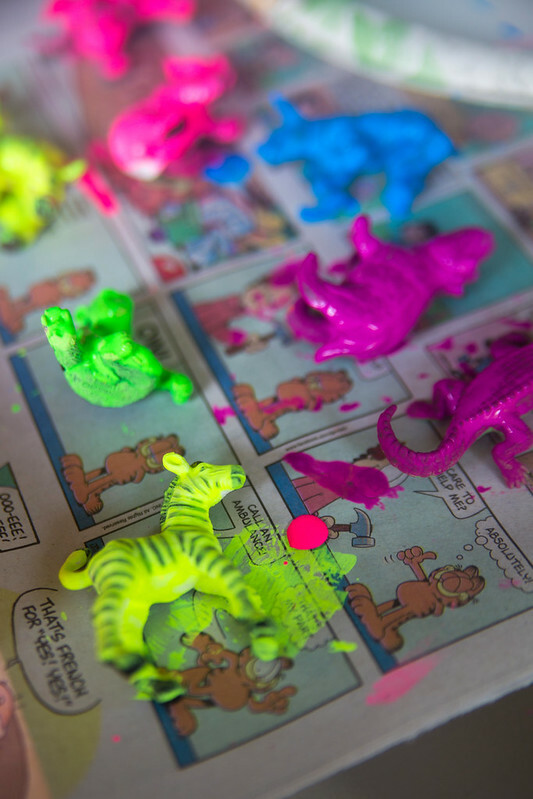 No need to waste paint if you don’t have to! 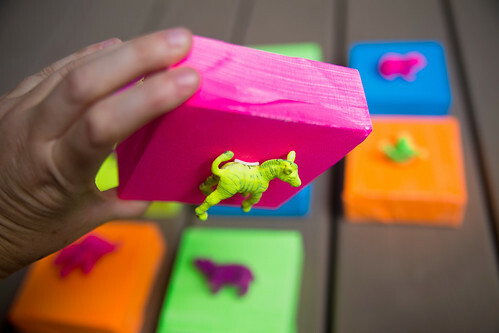 Once everything has had time to dry, cut the Scotch® Brand Permanent Mounting Squares to fit the part of the toy that will lay on the canvas. 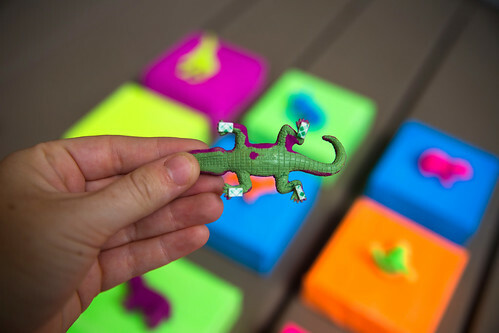 For some animals, I had to cut the mounting squares much smaller (like for this alligator’s feet!). 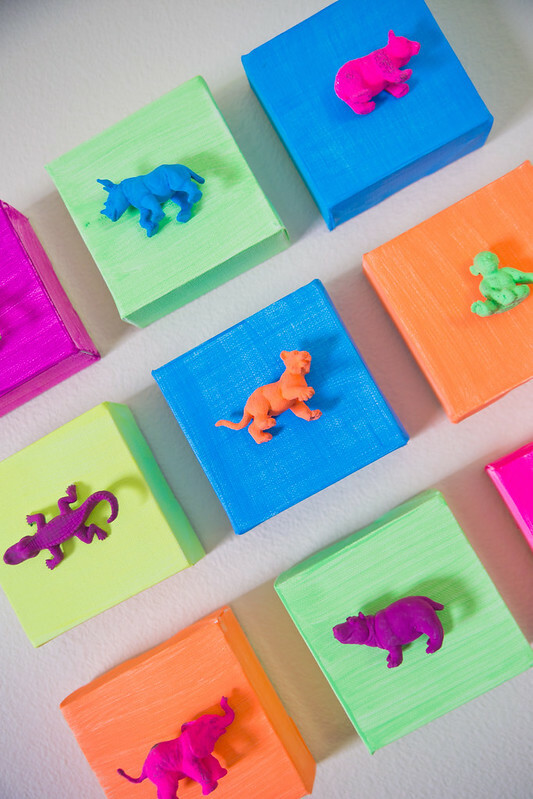 Remove the backing and stick each animal onto a canvas. 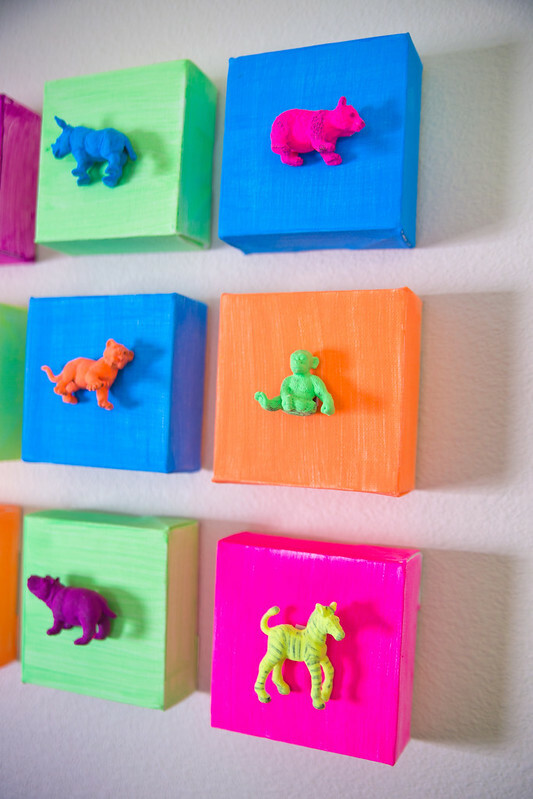 Now, you can use Command™ hanging strips to hang your DIY Playroom Artwork. What’s on your summer to-do list? 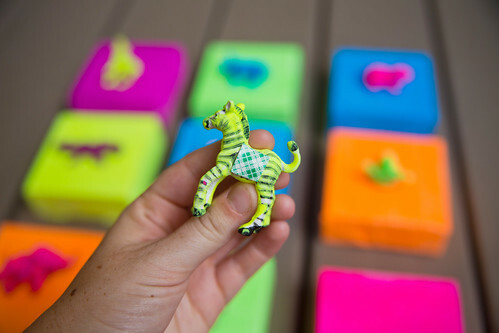 Don’t miss even more amazing summer project ideas!